LUXE Models Blog: The Mail Online Actually Apologised to George Clooney! The Mail Online Actually Apologised to George Clooney! In shocking news, last week the Mail Online actually apologised to George Clooney, which here at Luxe Models, we think is a momentous occasion! 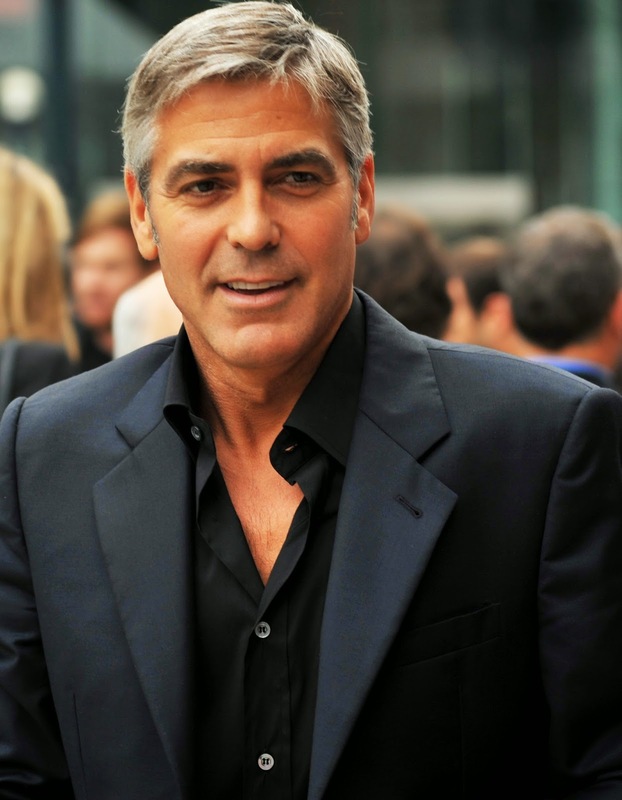 Let us tell you how much we love George Clooney. The A-List Hollywood actor is not only one of the most gorgeous men to walk the planet, but one of the most fashionable too! His understated, yet always on point, take on male fashion staples, such as the blazer and the statement scarf, have made him a modern male fashion icon. Which is why we cheered when the formerly perennial Batchelor announced his engagement to British-Lebanese lawyer, activist and author Amal Alamuddin. Every bit as stunning as her A-List fiancé, Alamuddin has enchanted fashion bloggers (including Luxe Models) the world over, with her elegant yet modern taste in clothes. We simply adore her penchant for soft power suits! They’re fast becoming one of tinsel town’s hottest couples, spurring fashion trends as quickly as most people change shoes. Which is why it was no surprise at all last week, when an article about the happy couple appeared on the Mail Online. The Daily Mail’s online platform chose to feature a story claiming that Alamuddin’s mother disapproved the match due to her daughter marrying out of the Druze faith. Naturally, Clooney rebutted in a column for USA Today, by pointing out several inaccuracies in the report. Of course, no one was surprised that the Mail Online claimed that all was not well between the happy couple, or when Clooney chose to refute such statements. It’s the usual course of the dance that typifies the relationship between the press and the A-list. What we were surprised by, however, was that the Mail Online actually apologised. According to Digitalspy, the site pulled the story, and released a statement on its website, saying that whilst it was not a fabrication, and supplied by the journalist in good faith, they accept Clooney’s assurances that the story is inaccurate and apologise. How often do they apologise, and apologise (seemingly) sincerely at that!? Almost never, so this may just be a reason to celebrate for everyone who loves this fashion forward couple as much as Luxe Models do! For more updates and stories like this, make sure you check out Luxe Models on Facebook.